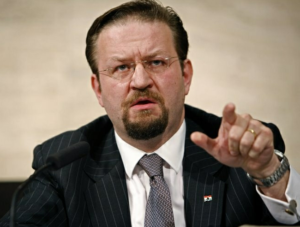 Dr. Sebastian Gorka, considered by many to be the world’s foremost expert on combating Jihadi terrorists, a regular commentator on Fox TV and many other TV outlets, an advisor to Presidential candidate Donald Trump, and the author of the brand new book: Defeating Jihad, The Winnable War, will be the keynote speaker at the September Freedom Leadership Conference. He will be sponsored by United States Intelligence Council and Secure America Alliance on Wednesday evening, September 14, 2016 at the Marriott Residence Inn, 12815 Fair Lakes Parkway, Fair Lakes, VA. The 7 PM Conference (doors open 6:30 PM) is free with a requirement for an advance RSVP, with a private dinner with the conference speakers, including the principal speaker Dr. Gorka, at 5:30 PM (doors open 5 PM), reserve HERE. Conference Flyer featuring Dr. Sebastian Gorka PDF HERE. 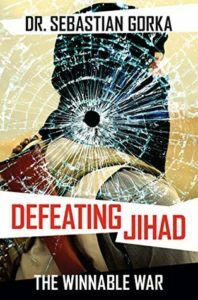 To order dinner tickets or reserve your place on the free conference waiting list go HERE (DefeatingJihad.eventbrite.com). Dinner tickets are a very reasonable $35 each, couples $65 (save $5). Because a standing room only crowd is anticipated, there will be for the first time, a waiting list for the 7 PM free conference tickets in order to give priority seating to those who advance purchase the VIP Dinner Tickets on or before Friday, September 9 at 5 PM. Available space will be released to those on the free conference seating waiting list via email after that date and time. You may subscribe to the free conference waiting list via email at RSVP@FreedomLeadershipConference.org but you must include your full name, zip code, and your instructions (all such subscribers also automatically are placed on the complementary conference e-newsletter list). 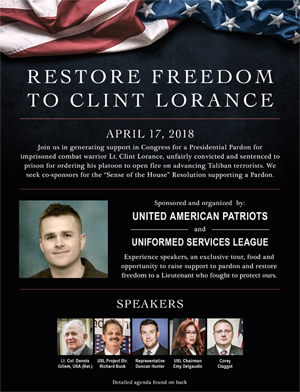 The Conference seeks additional support from attendees and will seat Conference Host ($100 donation, includes dinner) and Honorary Conference Co-Chairmen ($250 donation includes dinner) at the same table with Dr. Gorka, aiming to use the funds to help advertise and promote his appearance at this event and also his new book with Facebook advertising to attract the attention of local Fairfax area conservatives. The expected popularity of this internationally renowned speaker, author and Fox TV personality and limited seating at this venue requires that we (1) ask dinner attendees to purchase their dinner tickets no later than Friday, Sept. 9, noting this is first come first served & subject to availability, and (2) we will give priority seating to those who advance purchase a dinner ticket; free conference reservations will be placed on the waiting list until Friday, Sept. 9. In the event there is free (non-dinner) seating available we will let you know on this date by email after 5 PM.